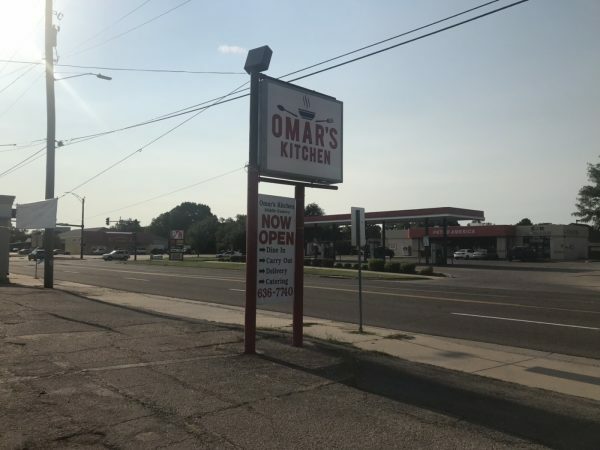 Omar’s Kitchen: Where the “Fill Up Your Plate” deal is magic – Wichita By E.B. Back in November of 2017, Petra Mediterranean Restaurant unfortunately burned down. The owners refused to let that bring them down and have since opened a new restaurant on West Central called Omar’s Kitchen. 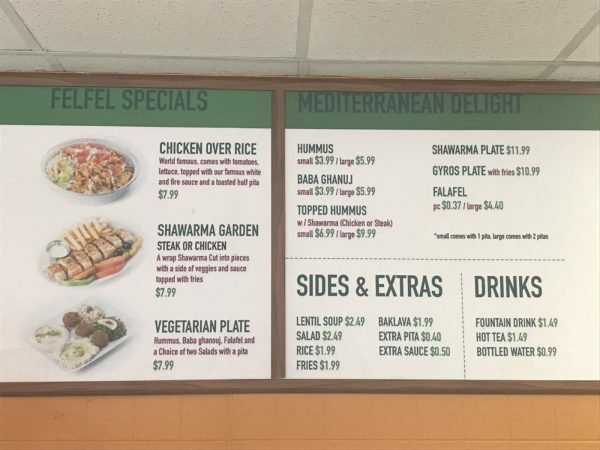 The restaurant features many healthy Mediterranean options such as chicken over rice, shawarma sandwiches, vegetarian plates, hummus, pitas, and wraps. What intrigued me on my visit was the “Fill up your plate”. It essentially is like a setup at Chipotle. 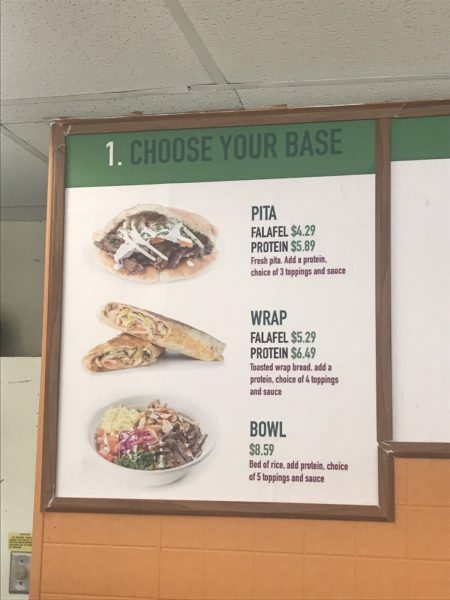 You get a bowl and choose your rice, protein (lamb, chicken, grilled chicken), salads, sauce, vegetables, and other additions like grape leaves or hummus. The staff behind the counter puts it all into a bowl for you and it costs $8.59. Imagine a “Build Your Own Burrito Bowl” at Chipotle but with Mediterranean food. 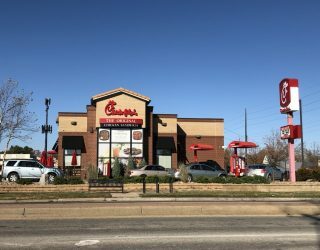 You can watch a short video of what their food line looks like here. 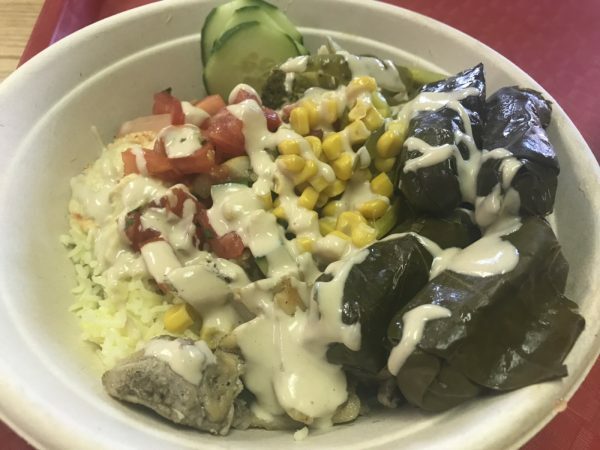 In my bowl, I chose rice, lamb, grilled chicken, corn, cucumbers, pickles, corn, tomatos, grape leaves, spicy hummus, and tahini sauce. It was incredible and filling. At first glance, I wasn’t sure it was going to fill me up but it was a struggle to finish the last few bites as I was stuffed. Everything tasted so fresh. The lamb was delicious, the spicy hummus had a nice little kick, and the tahini sauce added some zing to the whole meal as I mixed it all together. 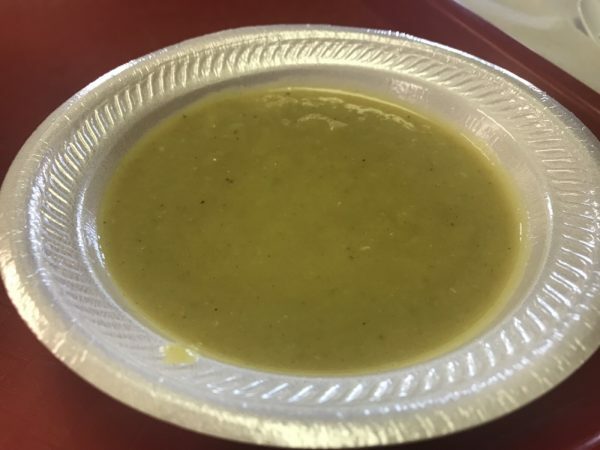 As a soup fan, I had to order a bowl of lentil soup and theirs might me the best I’ve had in town. It had a nice lemony flavor to it that I loved. Originally I wasn’t sure what to make of the whole idea but it was executed very well and something I’d try again. The gentleman working that afternoon was extremely polite and friendly. I asked a ton of questions and he wasn’t bothered at all by it. Two thumbs up to Omar’s Kitchen. After the whole incident at Petra’s Mediterranean Restaurant, I really hope they can make it at their new location. The food was top notch and I look forward to going again. Go drop $8.59 on one of their bowls and thank me later for it.